Start off by setting your oven to broil. Then you’ll need a grapefruit knife. 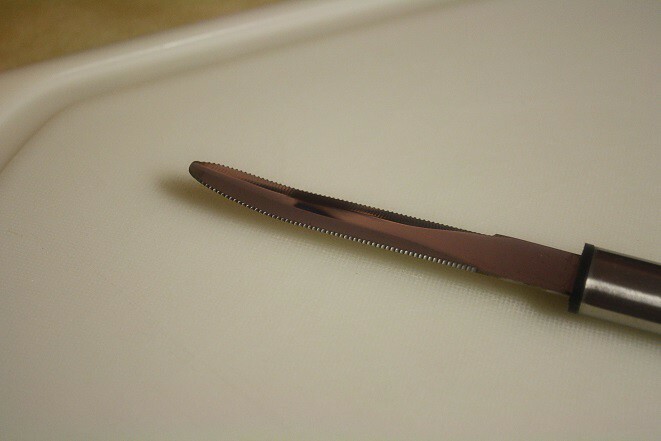 If you’re not familiar with a grapefruit knife, here’s an example. It’s not super sharp but is slightly bent with both edges being sharp. Love this tool! If you don’t have one, a paring knife will work. Start by slicing a grapefruit in half. 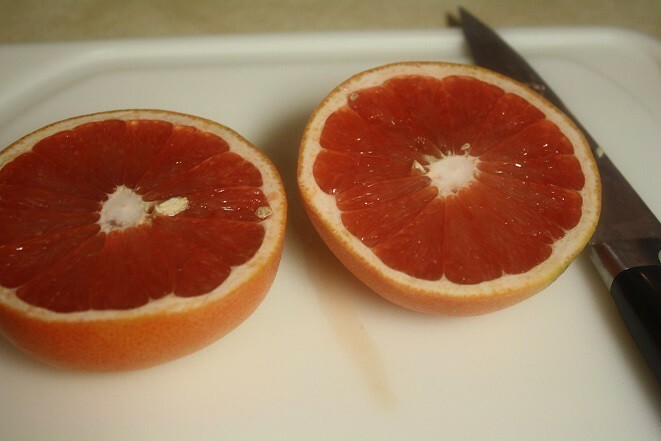 Then remove the seeds and use your grapefruit knife to cut the segments so they separate from the membrane. This allows you to easily scoop out the fruit for easy eating. 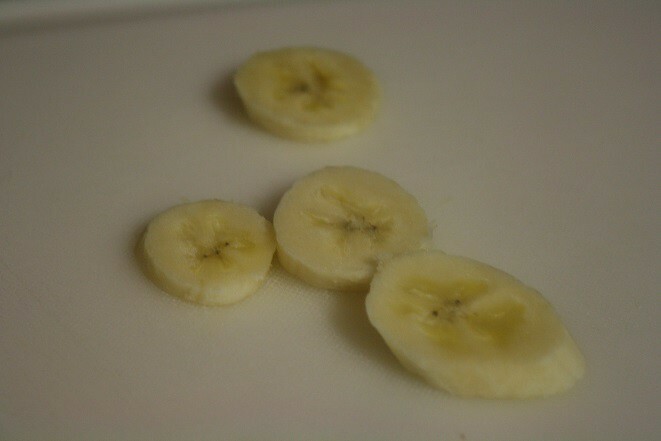 Then slice up a banana. You’ll want 3-5 slices per grapefruit half, depending on the size of the banana slices. 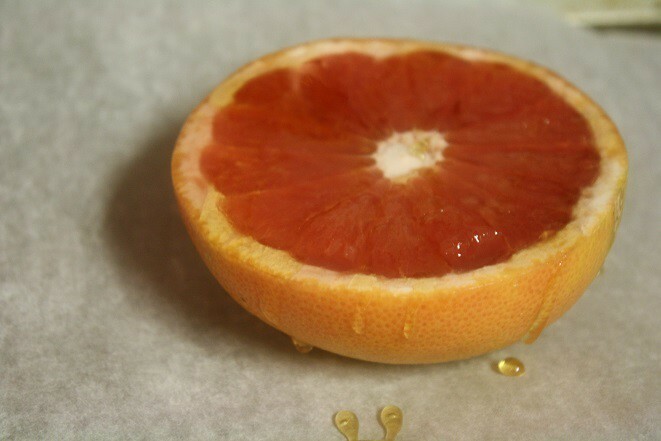 Then place the grapefruit on a cookie sheet and drizzle honey over the top … yummmm! 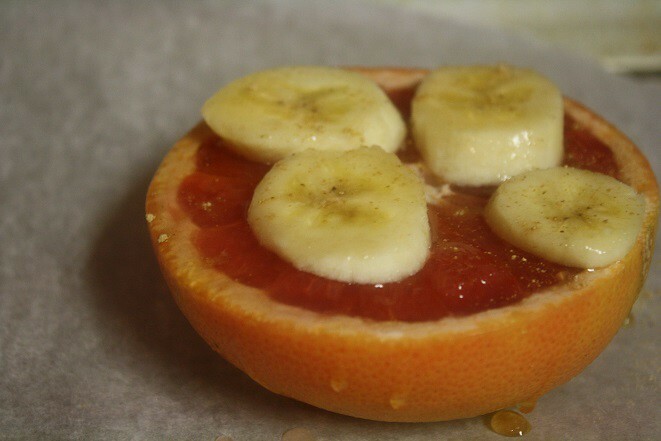 Place the banana slices on the grapefruit and then flip each slice so the bananas can be coated in honey on both sides. Finally sprinkle with ground ginger. Broil on the top shelf of the oven (crack the oven door when broiling). Oh and don’t put parchment paper in the oven when broiling. I’m not saying I did, but I’m not saying I didn’t almost catch it on fire. Grapefruit is typically a tart addition to your breakfasts and smoothies, but this broiled grapefruit method adds a little more sweetness and reduces the level of tartness so everyone can enjoy it. Turn the oven up to Broil. 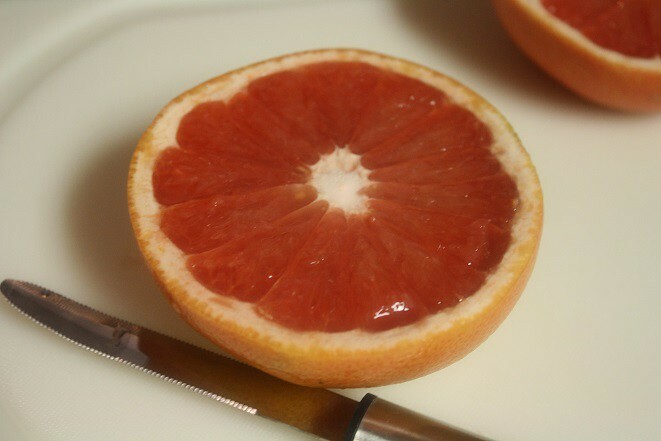 Cut the grapefruit in half and use a grapefruit knife (or paring knife) to segment the grapefruit (separating the fruit from the membrane), making it easier to eat. Place the grapefruit cut-side up on a small baking sheet. Drizzle some honey over the top. 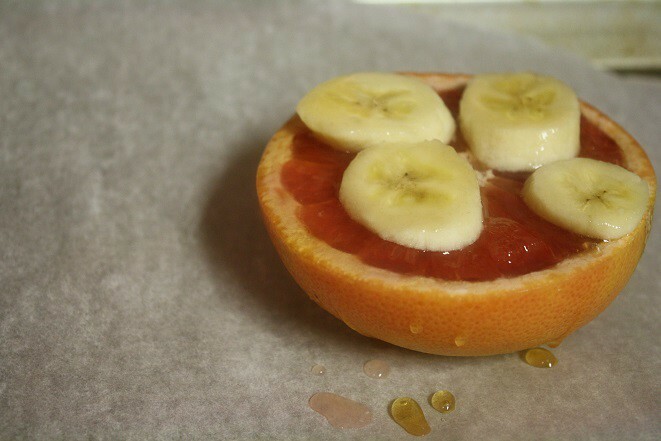 Place 4-5 banana slices on the top of the grapefruit and flip them over so that each side is coated with honey. Lightly sprinkle ground ginger (or ground cinnamon would work too) over the grapefruit half. 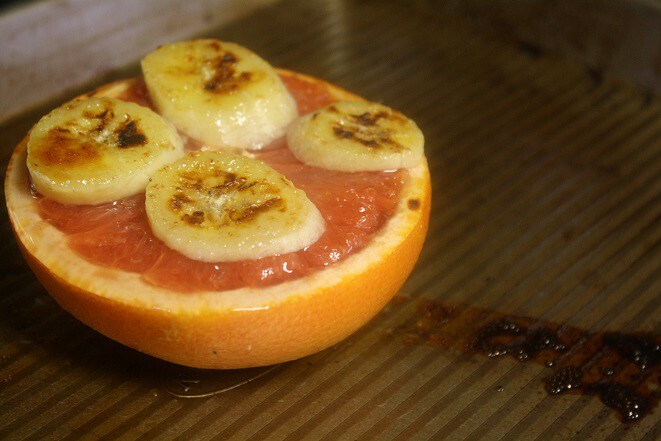 Broil for 4-6 minutes, watching the grapefruit so it doesn't burn. 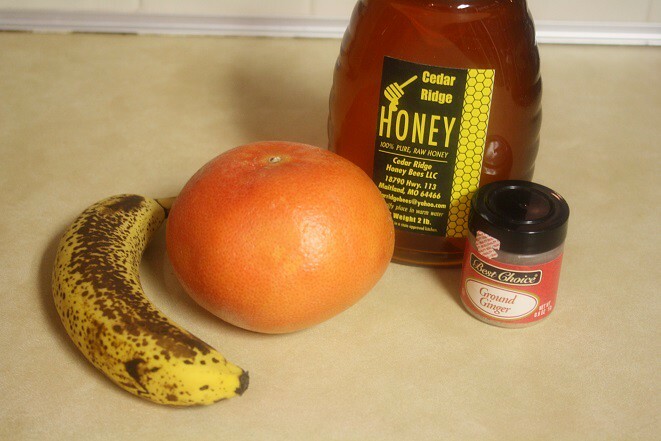 You want the honey to bubble a bit and the top of the grapefruit and bananas to brown just slightly. Be sure it doesn't burn. Serve the grapefruit right away and enjoy while it's still warm. Yum! 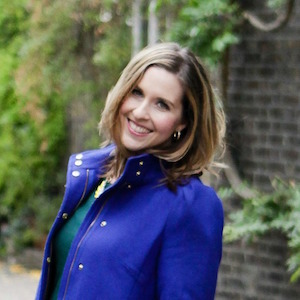 Ready to get weekly recipes, cooking tips, and more delivered straight to your inbox? Perfect! Sign up here and you're in. 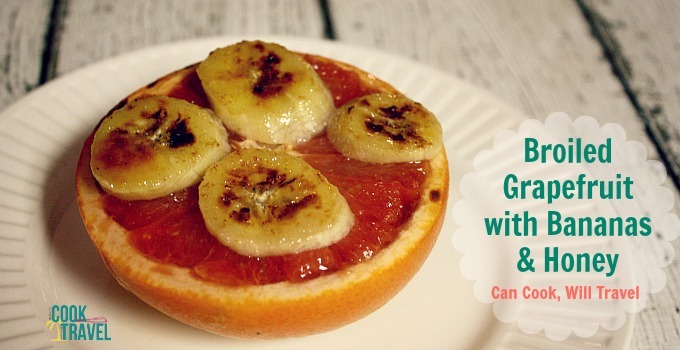 Previous Post: « Broiled Grapefruit Heats Up Breakfast!